How does the idea of owning a huge countryside luxury villa sound to you? Yes, absolutely, it is nothing less than a dream. With open spaces and a huge courtyard, this luxury villa design is simple yet classy. 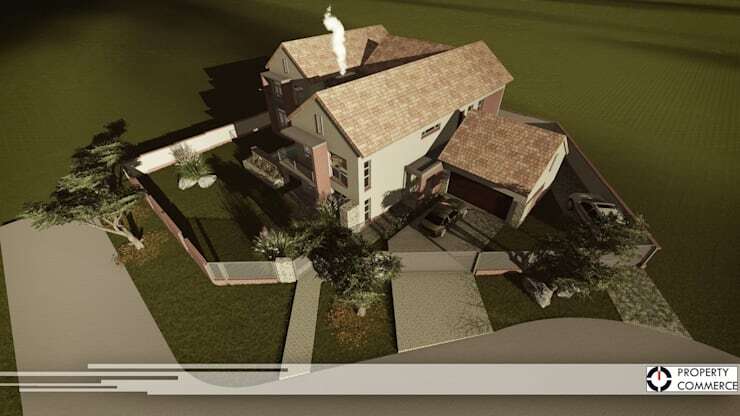 It has two stories and two car parking garage and is designed strategically to highlight the best points of a typical South African home. 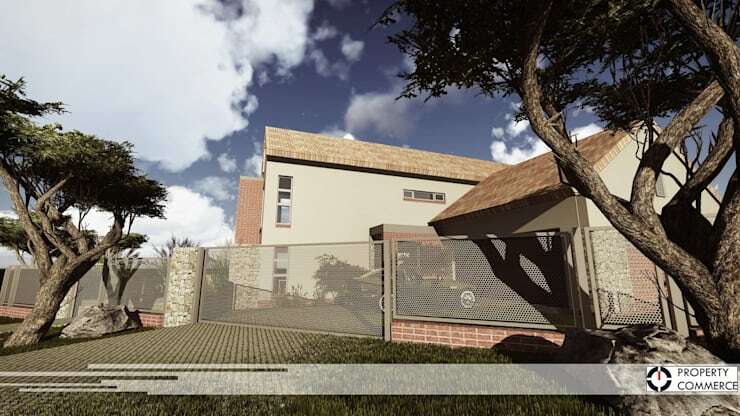 Something very attractive and different about the house is its perforated metal gates. The entire front wall of the house is made of perforated metal plates that give it a modern look. It is very similar to paver blocks on the driveway and walking track that lead to the house. The house looks nothing less than a living dream. Even though the colors used to paint the building are contemporary, the style is quite traditional with its chimney and sloping ceilings. The three trees on the outside of the residential complex offer privacy from the passersby. Most of the walls that face outside are mostly glass so that enough natural light comes inside the house. Some might feel that there are too many windows, but that is simple a personal choice. 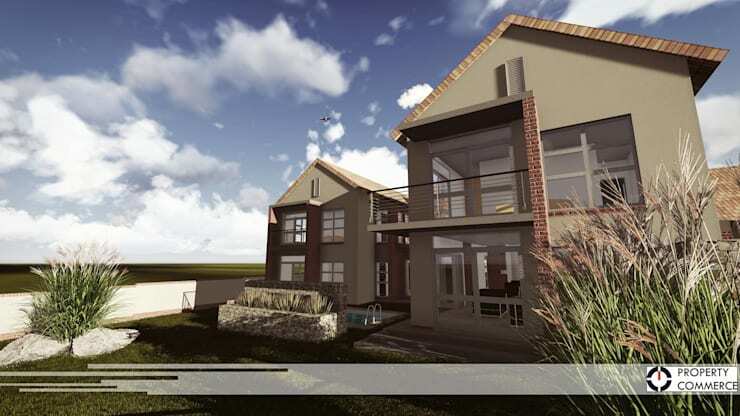 The house has a simple garden with some tall grass varieties and huge rocks, giving it a very South African style landscape feel. 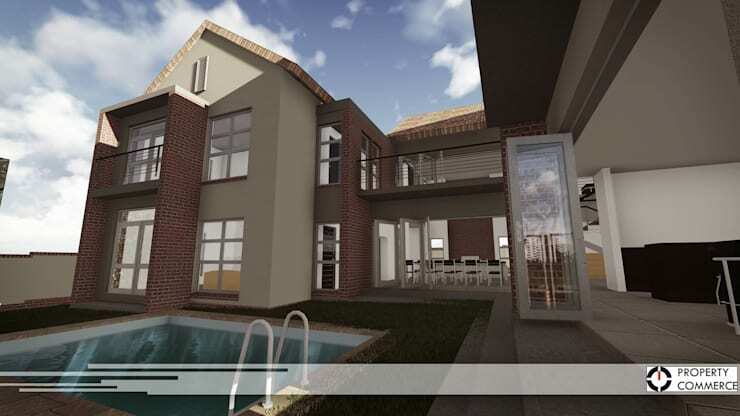 No South African home is complete without a swimming pool and a lot of outdoor space. The interior designer has smartly used the outdoor space for hosting parties. Two large glass doors open into the garden, one leading through the dining area and other through the living room. The indoor of the house is very simple with minimal walls. 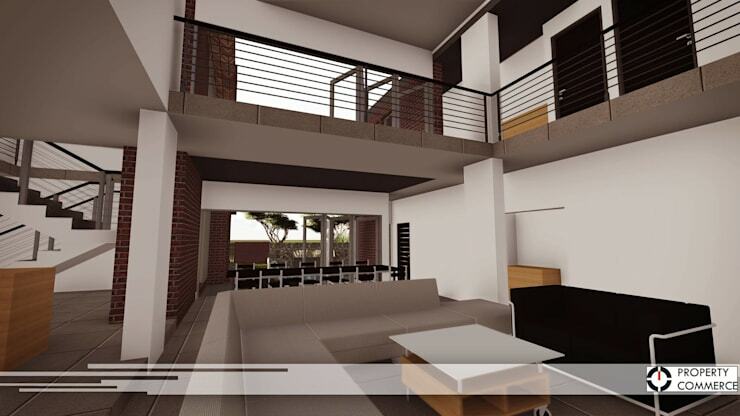 It is growingly common for South African homes to have open living plan rather than a separate living room, kitchen, and dining room. The areas are still very separated using steps and area rugs. You can view more such ideabooks on Homify.